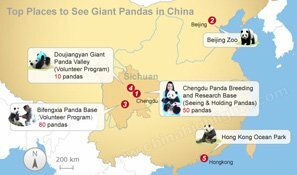 Giant Panda&apos;s Diet, What Do Pandas Eat? Bamboo is indispensable for giant pandas, as more than 99% of their diet is bamboo. In photos of pandas, bamboo is usually not far away. But, how much bamboo do pandas eat every day? Apart from bamboo, what do pandas eat? All the secrets about pandas&apos; diet are revealed in this article. So, giant pandas&apos; diet is almost exclusively bamboo, but what species and parts of bamboo do they eat? Pandas like eating arrow bamboo, black bamboo, and &apos;water bamboo&apos;, along with about 20 other species. They favor bamboo&apos;s roots, shoots, and leaves, especially shoots. Pandas eat different types and parts of bamboo according to the seasons. In spring and summer, they like eating different kinds of shoots; in autumn, they enjoy the leaves of bamboo; in winter, their main diet is roots. With very little nutritional value in bamboo, pandas must eat 23–40kg every day to meet their energy needs. What do they eat other than bamboo? For giant pandas fed by humans and wild pandas, the last 1% of their diet is a little bit different. Captive pandas also eat fruits (they love apples the most), nutritious "panda cakes", and steamed corn bread. 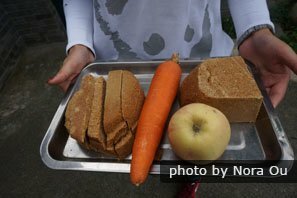 In the hot summer, they are fed ice with apples inside it to cool them down. 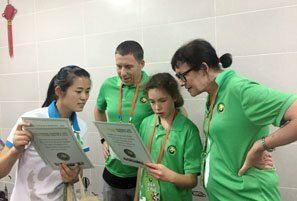 The food is strictly selected, going through several rounds of examination before being fed to pandas, to make sure the pandas get enough nutrition, and for the safety of pandas. Wild pandas prefer hunting for pikas and other small rodents as the last part of their diet, though pandas are not very fast, so injured and wounded animals are more within their league. 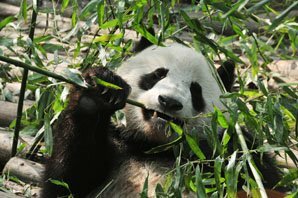 As "carnivores", it is unique for giant pandas to eat so much plant material. While their ancestors ate mainly meat, giant pandas belong to the bear family, so have always been omnivores. They have canine teeth and possess the digestive system of a carnivore, so although they have evolved to depend almost entirely on bamboo, they are still considered carnivores! 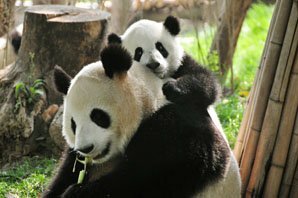 Research suggests that environmental changes killed off most of giant pandas&apos; predecessors prey about 7 million years ago, so, without any other choice, they became more and more vegetarian. At a similar time, though probably later, loss of genetic material made giant pandas lose their taste for meat. Research shows giant pandas had completely evolved to being bamboo eaters from 2 million years ago. Giant pandas spend over 10 hours a day eating/foraging because they have a shorter gut. They need to keep eating that long to ensure they have enough energy. Captive pandas are fed a richer diet and don&apos;t have to look for food, so spend less time eating and more time sleeping. Normally, captive pandas are fed at 8–9am and 3–4pm every day. To avoid visiting the pandas when they&apos;re asleep, you are suggested to visit around feeding time. 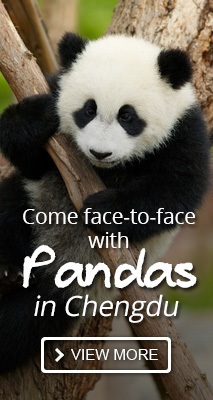 2-Day Dujiangyan Base and Chengdu Highlights Tour: Take care of panda and be a local people to wander in the city&apos;s must-sees. 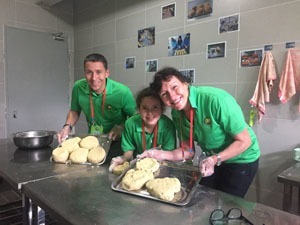 Or, if you want something quite different, you could use our expertise to tailor-make your own panda program trip.